Several years ago, after a business trip to Madrid, my mother and I decided to go to Paris for her birthday. I mean you’re already in Europe so you might as well right? And if I’m not mistaken we were flying out of Charles de Gaulle anyway. 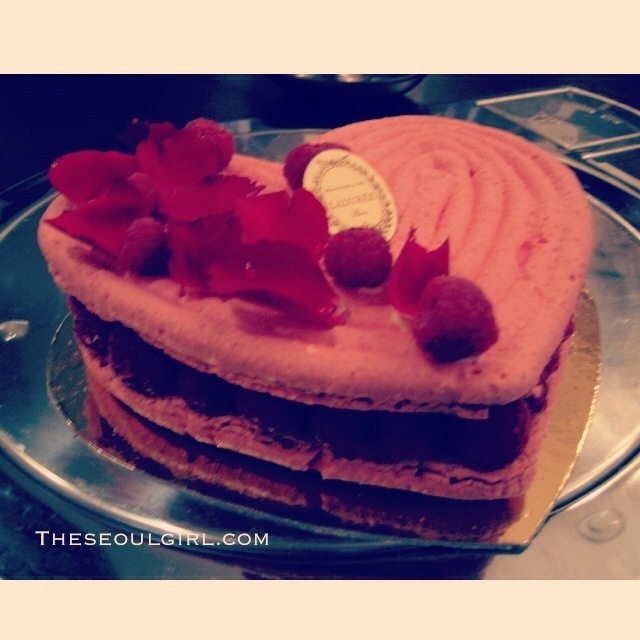 The one extremely clear memory I have, aside from walking around Paris in four inch heels is that we purchased her birthday cake at the Ladurée on Champs Elysées and ate it at a Korean restaurant because my mother was craving Korean food. The waitress who took our photo had to take it several times before my mother was satisfied. She was insistent that I get closer to the camera so that my face was smaller than hers. My vanity comes from her, obviously. 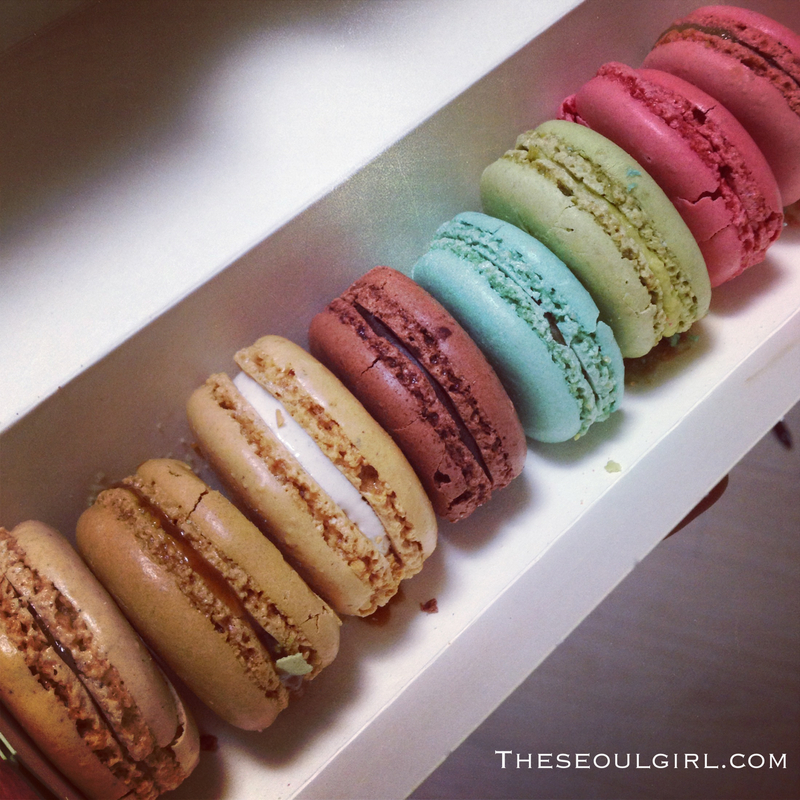 This evening, I swung by Shinsegae Department Store to pick up some maracons for myself because sometimes a girl has to indulge even when she’s on a perpetual diet (8 pieces cost W28,000). There’s just something about the pastel coloured box that brings me back to that trip with my mother and how Paris was the most magical place in the world at the time. The cobblestones were definitely hard to walk on but that was before flats were acceptable footwear! Gotta do something to make my short Asian legs look longer!